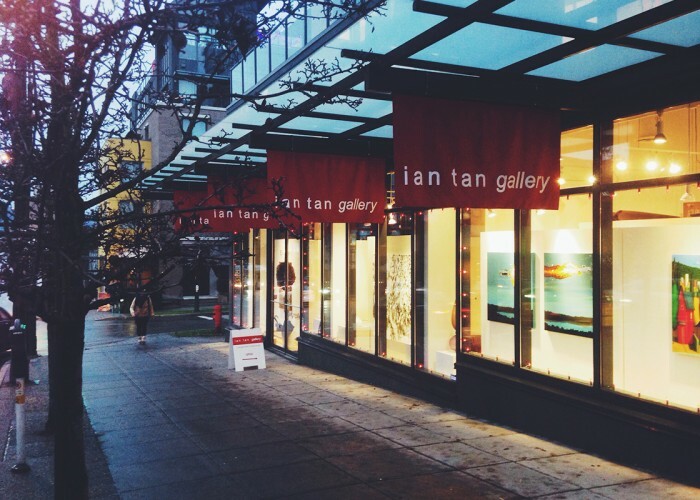 Take a walk through Vancouver’s South Granville district and you won’t forget the Ian Tan Gallery. Like a gem on a silver chain, the storefront’s floor-to-ceiling window displays of stunning art work stand out among the many other galleries and antique dealers that line the street. Recognized as one of Canada’s premier commercial art galleries, its high ceilings and white walls create space for quiet introspection. Guests are encouraged to linger, admiring original pieces that include oil paintings, watercolours, drawings, art objects, glassworks and sculptures. Owner Ian Tan and his team of consultants work tirelessly to brighten a client’s blank wall or illuminate a dark corner. They provide what Ian calls “the whole package”: appraisals, framing, shipping, rentals and installation. Known for his warm demeanour and observant eye, he goes the extra mile, using Photoshop to sample different pieces on a wall or lending out paintings for week-long test runs. 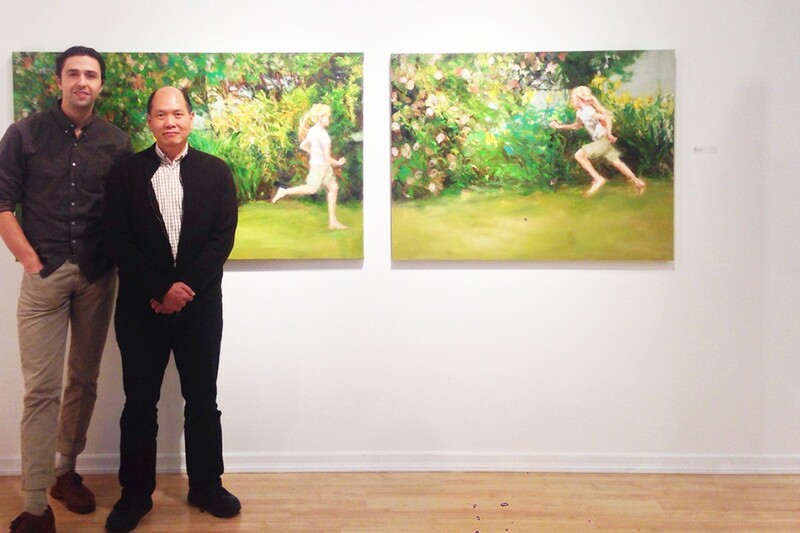 A small exhibition of artists shown year round at the gallery. Ian’s precise taste shines through each monthly exhibition, whether it’s haunting female figures painted and sketched by cutting-edge local artist Eri Ishii or pastel prairie skies from Regina-based painter Sean William Randall. When asked which piece is his favourite, Ian replies, “all of them.” He admits he’s not an artist but an art-lover, painstakingly curating each exhibition with a rigorous process to select ambitious, stunning paintings and interesting art objects – ones that he would display in own home. Each new exhibition is celebrated with a reception that’s free and open to the public. Ian also donates his space to charitable fundraisers: Arts Umbrella and Arts for Life have both auctioned off a catered dinner in the gallery. 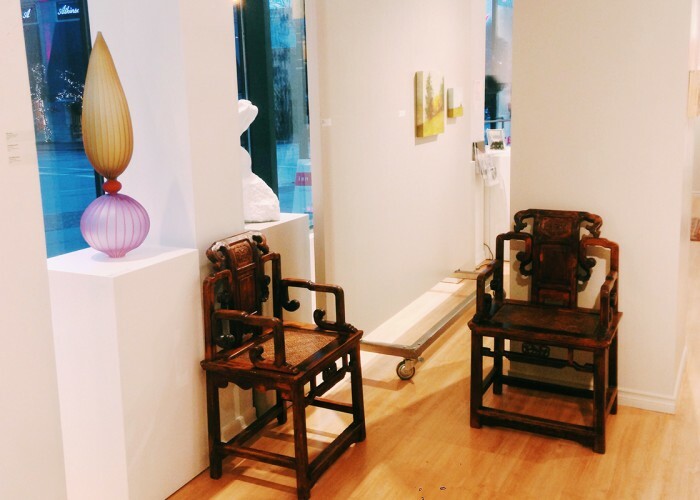 Antique chairs hand-picked by Ian Tan are just one of many personal touches that add warmth and flair to the gallery. 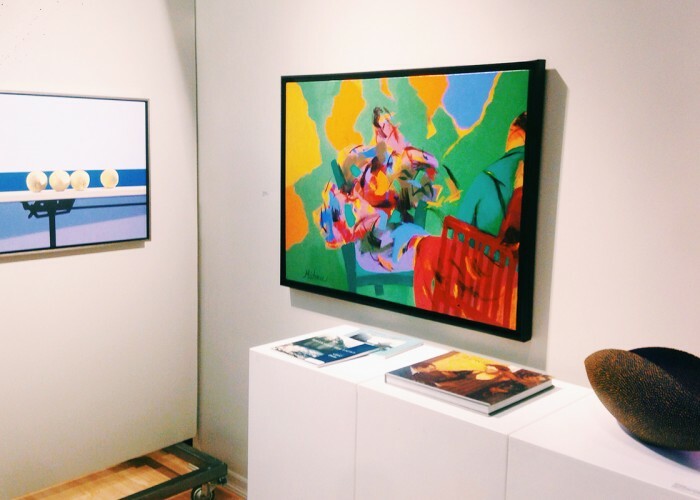 Inspired by clients who purchase art to mark an anniversary or birthday, Ian seeks to fuse the honouring of family with the buying and collecting of art. “What we’re trying to promote now is for our clients to begin a family tradition with each art work,” Ian explains. He encourages clients to choose a piece that not only moves and inspires, but also evokes a momentous year or event. “When the Olympics was here,” he says, “I bought a new piece. Now, every time I look at it in my home, it reminds me of that special time in our city.” This anecdote exemplifies Ian’s approach to his business — his deep understanding of the timeless connections between art and nostalgia, creativity and personality, and the hidden beauty of every lived moment. Warm lights and vibrant art works cast a glow over Granville Street, even on a rainy day in Vancouver.